I have had a little bit of more time on my hand when staying in Czech for winter holidays in the last few weeks and that could mean also one thing….creating wish lists and browsing on favourite on-line shops. Yes, you are reading it correctly. I love to procrastinate in this way. 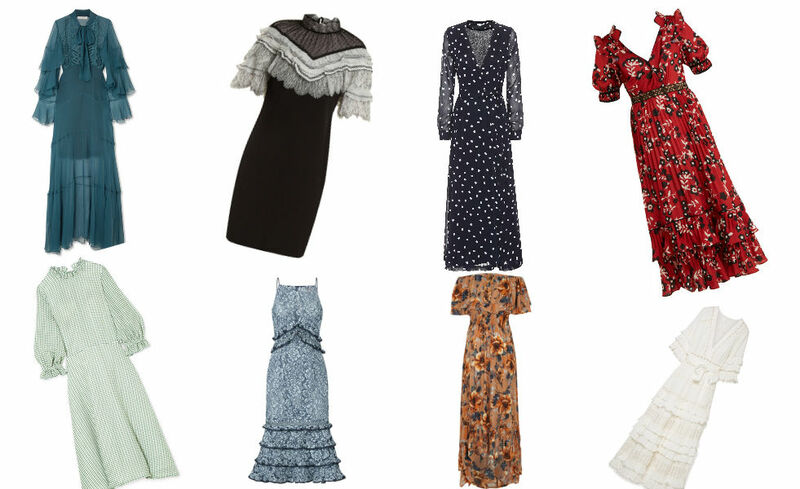 And because I am counting days until first spring and summer days I am also dreaming about beautiful dresses we get to wear so here is a little selection of beautiful dresses. Whether you love luxury or your budget is more high-street hopefully you find something in my latest Dress Edit. Ted kdyz jsem na dva tydny v Cesku tak mam o dost vice casu nez doma v Londyne a to taky znamena hodne prokrastinace. Prichytala jsem, ze travim hodne casu na ruznych e-shopech a tvorim si wish listy a prohlizim si veci, co se mi libi. Co uz se mnou, ze? A nejak me to chytlo za srdce a taky si uz snim o jaru a leta o tom jak budu nosit vice satu. A tak jsem udelala vyber krasnych kousku. Snad si kazdy vybere, zaradila jsem do vyberu levnejsi i drazsi kousky. 5 not that glamorous habits I have ... ooops!! So many beautiful options!! I want them all!